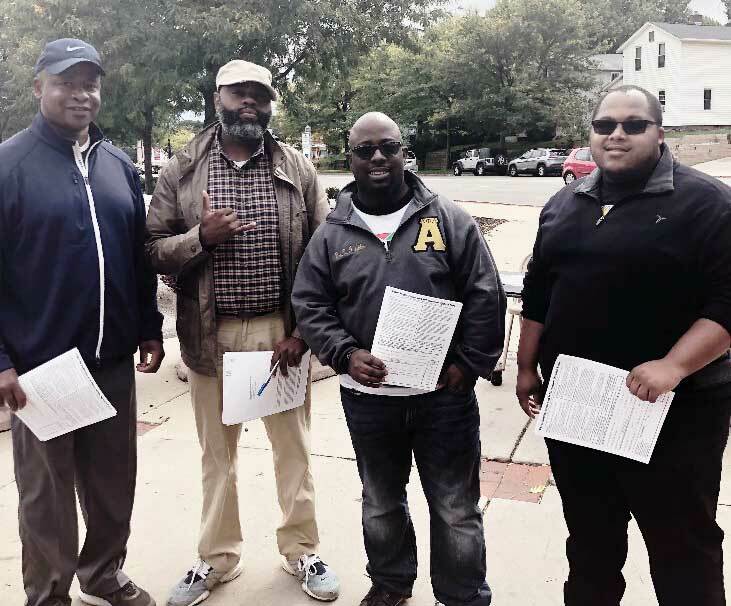 To kick off one of our fraternity’s national programs, “A Voteless People is a Hopeless People®,” on Saturday, September 22nd, Eta Tau Lambda chapter brothers registered 16 new voters. The highlight was a 60-year old lady who said, this would be my first time voting and I am excited to do it. She registered and we hope that she takes that energy to the polls. Thank you too, Bro. Joe Simmons for picking up the forms from the Board of Elections, Bro. John Smith for going to EANDC to get a final yes for us to do voter registration at Dave’s Market. Also, we had a great showing of brothers. Thank you to Bros. Tony Barnes, Shahid Abdul-Muhaimin, John Smith, Dave Brown, Ricardo Myers, Tony Brown and Thomas Tatum for joining us for the cause. Last, but not least, please LIKE Akron Votes on Facebook at facebook.com/AkronVotes. We are solidifying partners and working out some of the educational messages to send out soon. Within the next two weeks, we hope to have the schedule for the AkronVotes LIVE sessions. Any questions or comments – do not hesitate to contact Bro. N.J. Akbar at 313-478-4640. “A Voteless People is a Hopeless People” (aka VPHP) was initiated as a National Program of Alpha during the 1930’s when many African-Americans had the right to vote but were prevented from voting because of poll taxes, threats of reprisal, and lack of education about the voting process. Voter education and registration have remained a dominant focus of this outreach activity for over 65 years. In the 1990’s, the focus has shifted to include political awareness and empowerment, delivered most frequently through town meetings and candidate forums.